Here are our Frequently Asked Questions, if some questions that you would like to know and not in our list please contact us here. Q: If it rains or looks like the weather is too unstable for play, who should I contact? A cancellation notice will be placed on our website on the top left section, in a highlighted box 45 minutes to an hour before sessions that may need to be cancelled. If there is no notice, the lesson is on. Q: If a lesson is rained out half way through a session, will we be charged half or full? OTR Directors will make a fair and reasonable decision based on how much of the session was completed, and you will be billed accordingly. Q: If I cannot attend a lesson for whatever reason, will I be given a make-up class? No, make up classes are not guaranteed, but they will be given at Directors’ discretion if space is available. Q: If my class is cancelled due to rain, will I still be charged? Refunds will be given BEFORE THE TERM FINISHES for rained out lessons. Please do NOT deduct from next payment. Q: Can I just deduct lessons from my next bill if some classes were not completed? No deductions should be made for any reason unless OTR asks you to do so. Q: Will you be using lower compression balls for younger age groups? OTR will use lower compression balls correctly, in line with age and level of kids. Q: Which groups are most suitable for my child? Please visit our programmes section to see which group seems like the right fit. OTR will then provide a PAID TRIAL SESSION and then hopefully find the most suitable group for your child. Q: If I want private lessons, how do I find the right coach and set up a lesson? We have a great team of coaches that are available for private sessions. Please read their bios as each coach offers something slightly different and then e-mail one of our directors to set up a lesson. If you’re not sure who would be the best fit, we will make suggestions. please look at our payment details section for clear instructions on how to pay. Q: What equipment do I need to bring to lessons? If you’re not sure which racquet to use, an OTR coach can give you details – based on your needs – on which racquets/strings/shoes would be most suited to your level and style of play. 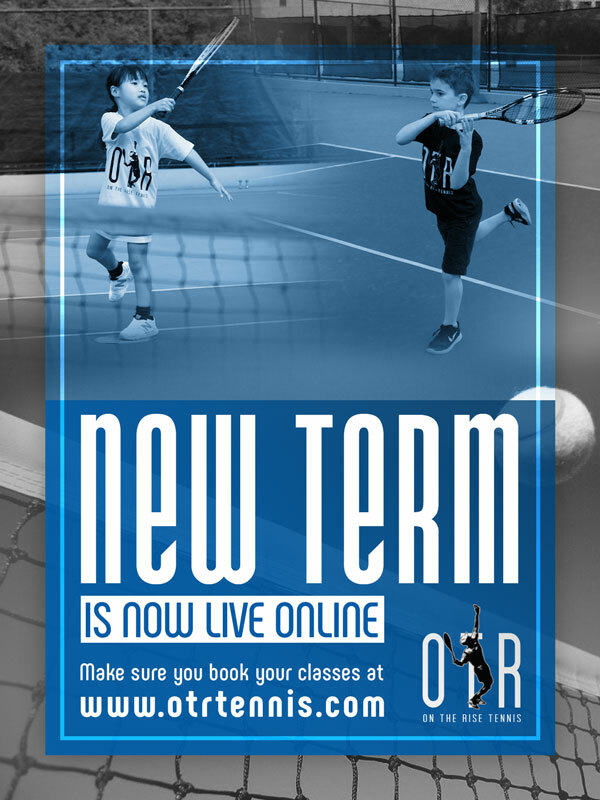 Tennis racquets can be provided if asked for in advance for beginners. Tennis shoes, although not compulsory, are strongly recommended to avoid injury. Please bring water and snacks if needed. All our prices are included on our download forms under our programme section. Private classes are currently set at $700/hour but these rates may be subject to individual coaches. Q: Will I get a discount if I pay in advance? For certain tournaments/events and camps, we will offer early bird discount rates. Please check each announcement separately for these great offers. For Invitational packages, you will get a discount for larger packages. Q: What if my payment is late? We do not accept late payment and therefore cannot guarantee a place for your child until we receive payment. Please make payments at least 1 week before classes begin. This policy is also a safety measure that we need to follow to ensure safety for your child and know exactly how many children should be in each class at a given time. Q: What do I do if I need to stop my group lessons? In order to receive a refund of fees outstanding, OTR Tennis Asia Ltd. requires 3 weeks notice in the form of an e-mail to info@otrtennis.com. Verbal communication with a coach will not be sufficient. Q: Why should I join OTR Tennis Asia Ltd.? All of our coaches are internationally qualified; we now offer lower student to coach ratios, as well as a system that allows progression from one colour to another as juniors improve. Visit our LOCATIONS section for detailed maps of where our classes take place.